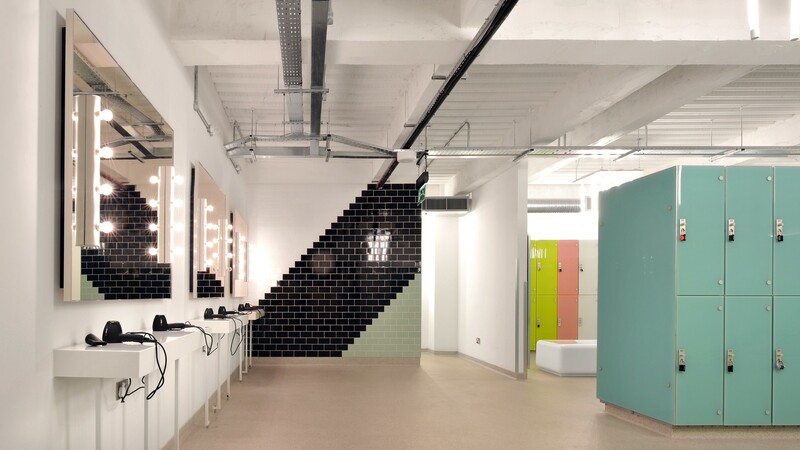 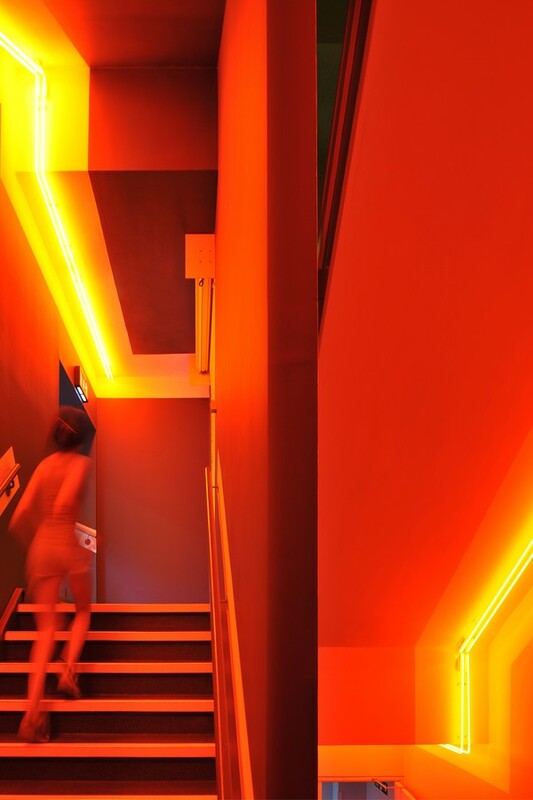 Aiming to create a series of urban gyms sited in unusual (and hard to let) spaces, the Gymbox brand breaks the mould of aspirational, white-box fitness clubs by offering a more stimulating, club-inspired environment. 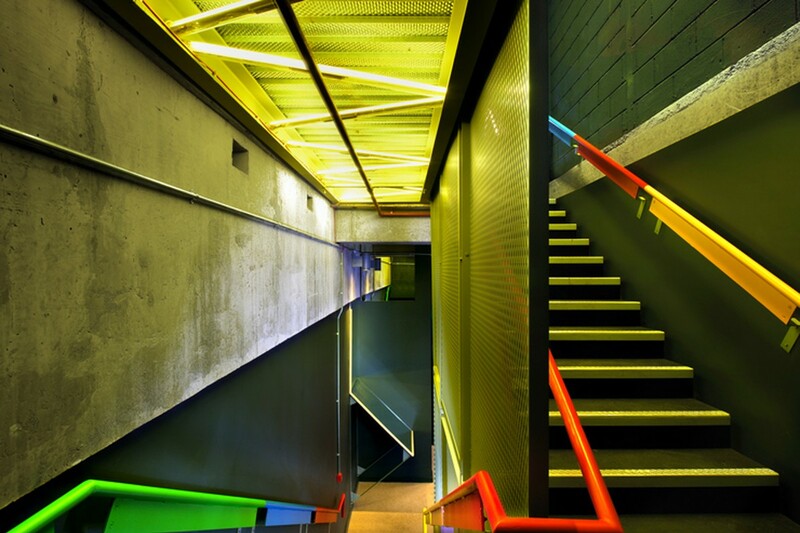 The 5th Gymbox is carved from a labyrinth of spaces over two basement levels in a former office building. 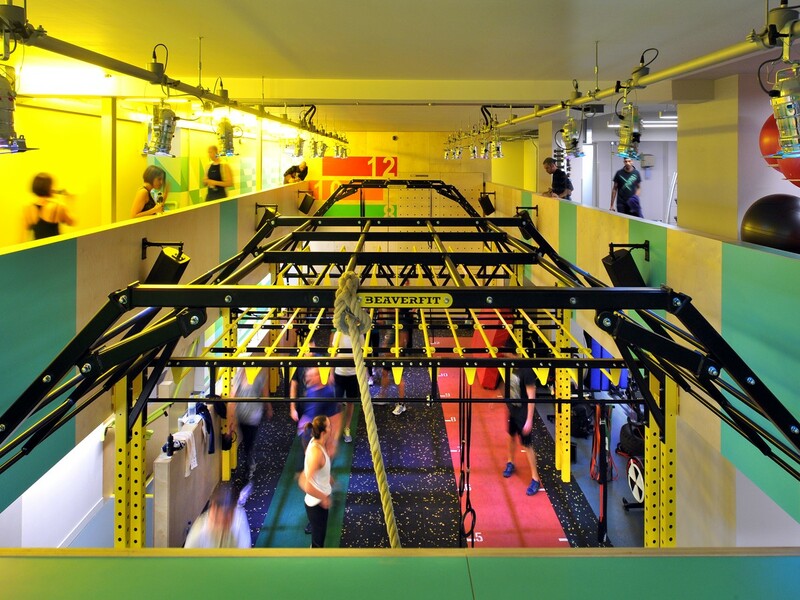 Key to the scheme is the creation of a double height crossfit studio space that becomes the focal point of the club. 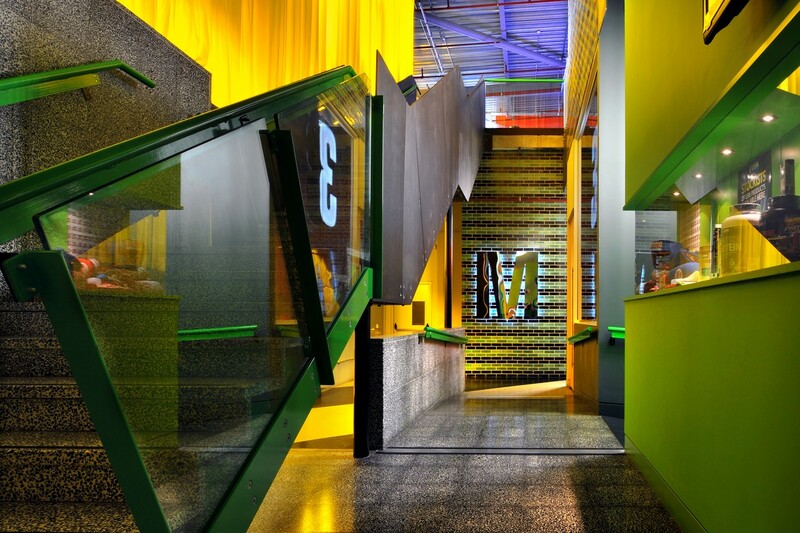 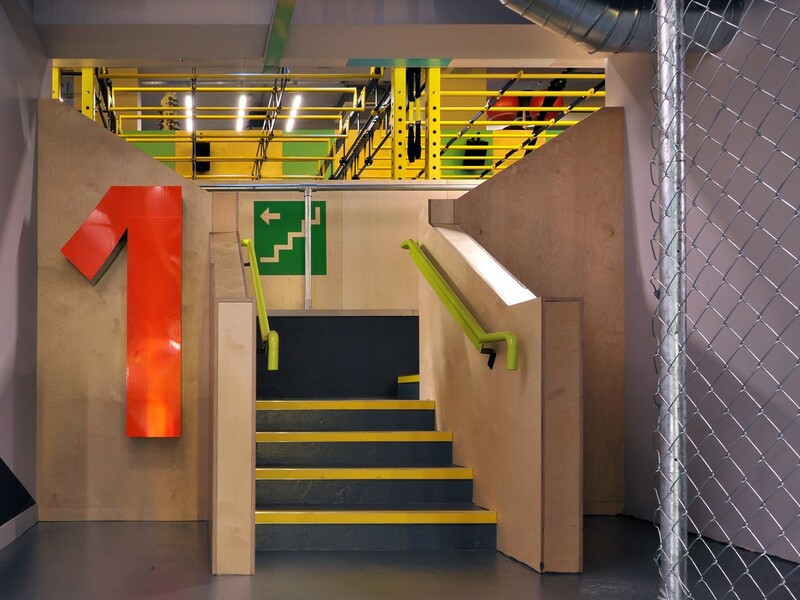 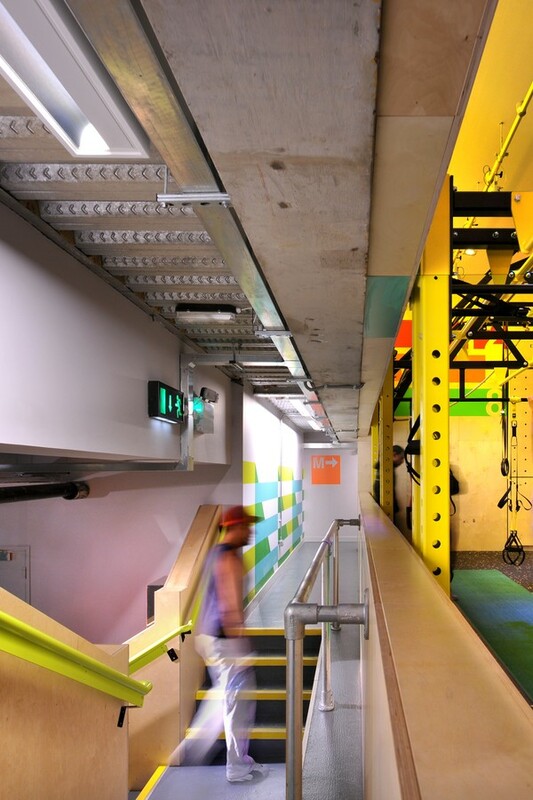 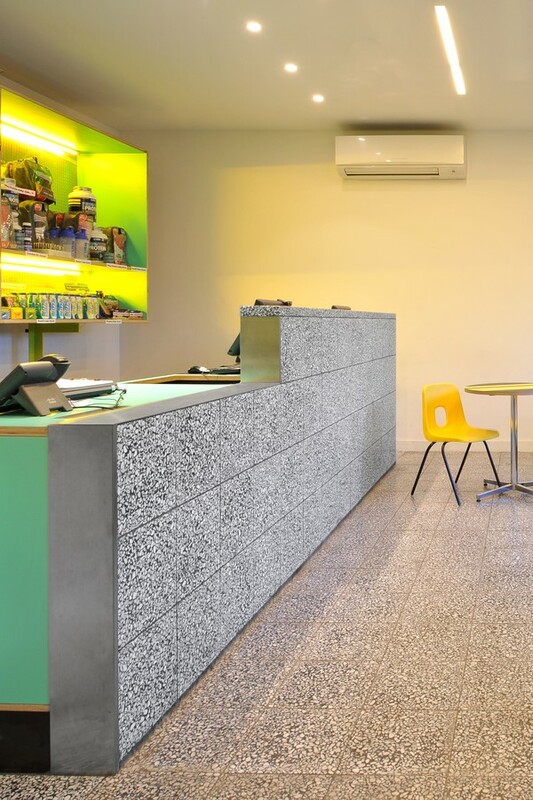 Materials, wall graphics and lighting provide the character associated with Gymbox but again have been evolved to create a bespoke environment that keeps the brand alive.